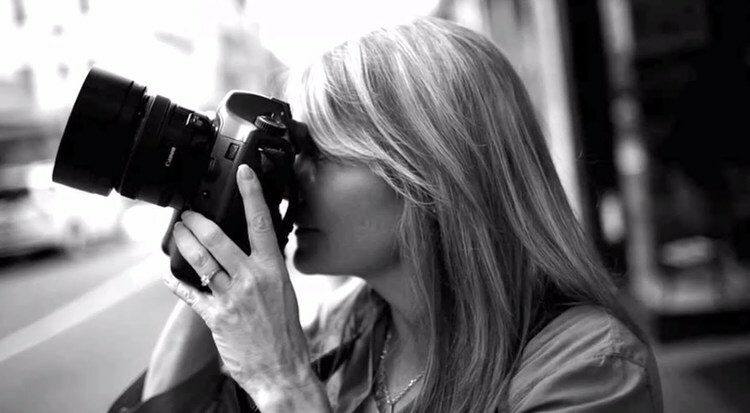 Discover the Silk Road with award-winning travel photographer Deanne Fitzmaurice. This ancient trade route has lured explorers, traders and conquerors for centuries. On this Quest, we will explore the historical crossroads in Uzbekistan and the majestic mountain ranges and black sand deserts in Turkmenistan. Our small group will visit exotic bazaars, explore historic UNESCO World Heritage Sites, dine in family homes, and travel through the magnificent scenery along the ancient Silk Road. Ashgabat is an oasis town set on the edge of the desert in the foothills of the Kopet Dagh Mountains. We will visit the National Museum’s impressive excavated artifacts, Turkmen carpets, traditional costumes and domestic displays. Also, wander and photograph in the Talkuchka Sunday bazaar - one of the largest and most amazing open-air bazaars in the world. Here, you can purchase carpets, bread, produce, clothing, electronics, handicrafts, hair brushes, car parts, camels, and everything in between. Also, enjoy a visit to an equestrian center to learn from experts in the field. Partial-day excursion to Nisa, the ancient capital of the Parthians. An archaeologist's dream, there are ruins of 3rd Century BC fortresses, citadels, temples, and tombs. Enjoy an authentic outdoor dinner arranged for our group with a spectacular view of the city. Overnights at the Yulduz Hotel. Fly from Ashgabad to Dashogouz. Drive to Historic Konya Urgench to explore the Mausoleum of Turabeg Khanum and the Shrines of Soltan Tekesh and Il-Arslan. This ancient archaeological treasure is an important pilgrimage site of ancient Silk Road. Road transfer to the border. After border crossing, continue our journey to Ayaz Kala. Overnight in Ayaz Kala Yurt Camp. Rise early for sunrise photography excursion, then enjoy camel riding and hiking as we explore the ancient ruins of Kharezm Shakhs. Road transfer to Khiva in the late morning. Khiva is one of the most popular UNESCO World Heritage Sites along the Silk Road. Upon arrival, we will enjoy dinner and a traditional performance by a local folk group. Overnight at Orient Star Hotel. Khiva, a fairy-tale-like city, has some of the best-preserved historical architecture in the region, including the Ichan Kala; the Ata–Darvaza gates; the majestic, blue-tiled Kalta Minar tower; the Mohammad Aminkhans and Khodja Islam complexes; the Kunya Ark (Ancient Citadel); Tash Hauli Palace; the Caravanserai; and the astonishing Juma mosque. Explore and photography these highlights, along with the Kerevan serai markets. Dinner at an authentic local restaurant. Bukhara was once the intellectual center of the Islamic world, and is still one of Central Asia’s holiest cities. In the afternoons, relax while sipping green tea under the shady mulberry trees surrounding the reflecting pool at the Lyabi Khaus complex, the traditional heart of the city. Here, tea and gossip reign and artisans sell their handicrafts. We will visit the Magoki Attari, originally a Zoroastrian temple, and the oldest surviving mosque in Central Asia. Other highlights include the four, blue-domed minarets of the unique Chor Minor complex, and the magnificent summer residence of the last Bukhara Emir - the Sitorai Mohi-Khossa or Palace of Moon and Stars. Enjoy dinner and a folklore show at One of the nights we enjoy dinner with a folklore show at the Nadir Divan Begi Khanaka. Morning transfer to Samarkand. Our route will take us through the black sand Malikchul desert and along the Zerafshan River. Along the way, we will stop by the gate of an 11th Century caravansarai and the Gidjuvan Ceramics Center, one of the principal schools of traditional ceramics in the region. Overnight at the Grand Samarkand Superior. We will be joined by an historian and guide in Samarkand who will provide a rich account of this fabled city. We'll enjoy a full day of monumental exploration starting in Registan Square, renowned for soaring porticoes and stunning decoration. Next, we will visit the Shahi Zinda Ensemble,the ancient necropolis and veritable museum of tile artistry under the open sky. A series of 11 mausoleums line a medieval street, offering a first-hand lesson in Islamic decoration. We will also visit Samarkand Urgut bazaar to meet weavers, ceramists and other craftsmen. Finally, a folklore show in the square will follow dinner at the Registan Restaurant. After dinner, take the high speed train to Tashkent. Tashkent is a vibrant, modern city. Completely rebuilt after the 1966 earthquake, it boasts wide boulevards, classic Soviet architecture and fabulous green and public spaces. In the morning, will visit the Khasret Imam; the Sheik Tellya Mosque; and the Chor-Su Bazaar to watch craftsmen at work, enjoy the bustle of the market and bargain for souvenirs. Later, tour Mustakillik Square (Independence Square), the center for national events and celebrations. The Tashkent metro stations are themselves works of art, and the Alisher Navoi Opera and Ballet Theatre is decorated to reflect the different regional styles of the country. After dinner, we will enjoy a panoramic view and photo shoot of the city at night. $6390 based on double occupancy. A single supplement is available for an additional $1450.